KEE KLAMP slip-on fittings allow tubular steel to be connected easily with no need for threaded tube or welding. Structures can be built into any shape required, even allowing adjustments to be made during installation. In the 1930s, in England, KEE KLAMP provided a simple solution for milking stall barriers, replacing the wooden versions with a durable and low maintenance alternative. In the years that followed KEE KLAMP was put to a variety of new uses including aircraft maintenance platforms and barrage balloon housing during the war. In the post war period, KEE KLAMP became a popular choice for constructing storage racking. 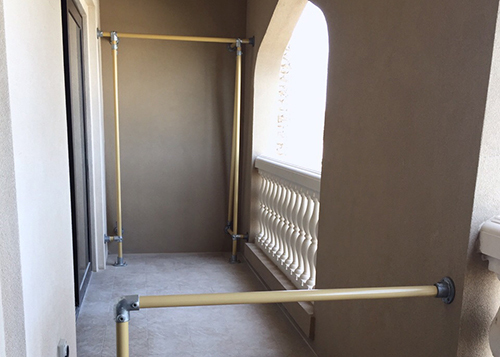 When safety became a top priority, KEE KLAMP provided the perfect answer as safety barriers and hand railing. KEE KLAMP barriers have been used in factories, schools, warehouses, water treatment plants, alongside railway tracks and waterways, and as rooftop guardrails. This remains a core part of the business and in the last 80 years we have provided thousands of kilometres of barriers around the world. In the 1970s KEE KLAMP became a shop-fitting staple with designers looking to add an industrial character to their new designs. This is a trend that has persisted and recent contracts with Christian Dior in Asia and Liberty Department Store in London show KEE KLAMP is still a popular choice with designers. Shop fitting is not the only area where designers have used KEE KLAMP fittings and tube to create an unusual look. From beds to chairs, bathroom shelving to balcony rails and bespoke gym equipment to children’s climbing frames, if it can be imagined it can be built from KEE KLAMP. For 80 years KEE KLAMP has been there, always seen but rarely noticed. From handrails at Niagara Falls to railings on the River Thames to guard rails around water treatment plants and access platforms for safe working at height in the Middle East, in almost any area of the world you will find KEE KLAMP. 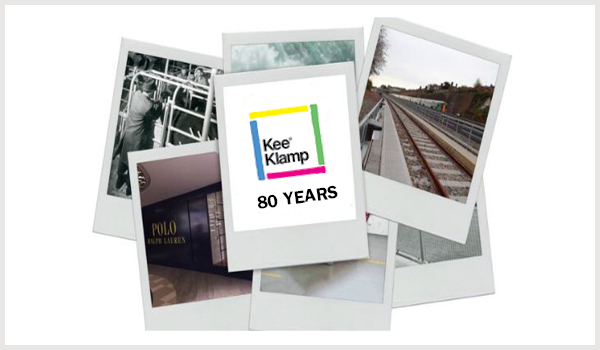 Watch our new KEE KLAMP animated infographic and see how the product developed in 80 years.